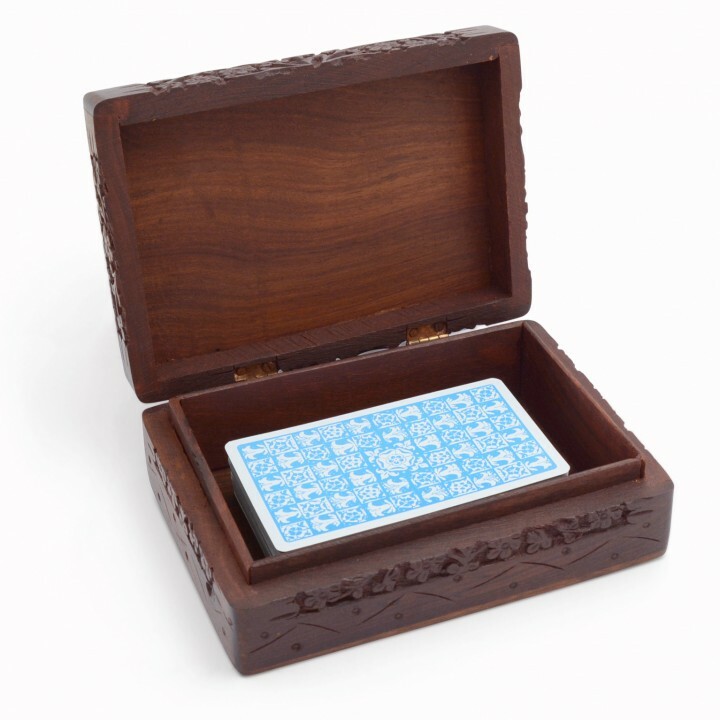 We say: This is a well made and finely finished tarot box, hand made from sheesham wood and designed to store Tarot cards when not in use. 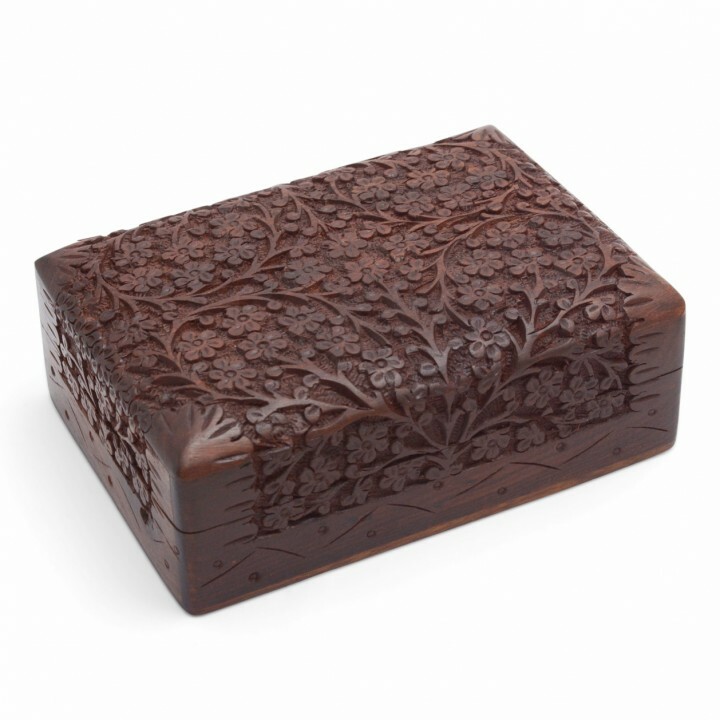 The carving on the outside is of an intricate floral design, highly polished and a beautiful design. 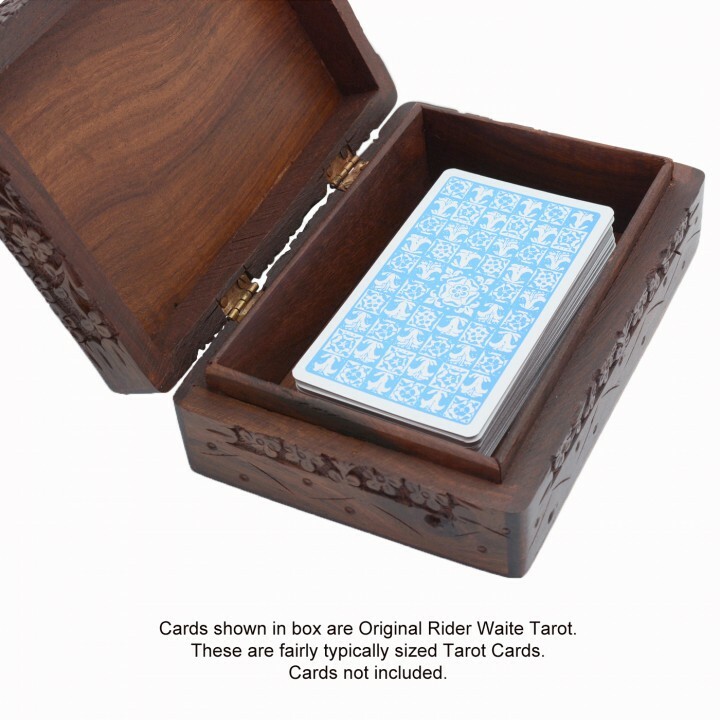 The lid closes well and is suitable for all sizes of cards up to 14 cm by 9 cm. Such decks include Original Rider Waite, Sharman Caselli, Morgan Greer and Tarot of the New Vision.